Opening hours: Mo – Fr, 10:00 – 17:00. Get acquinted with five important Swiss schools. Learn how to register for these schools and what are the conditions of admission. Discover that they are financially affordable for you (e.g. Double Degree Program). Find out more about programs and diplomas. Where can you sign up after school and how to start your career. Find out about the “Open day” option, when you can visit schools together with your parents. Do you dream of speaking several foreign languages, traveling a lot or starting/managing a successful business? Then the World of Hospitality welcomes you with the doors wide open! It‘s a well-known fact that Switzerand is a cradle of hospitality and world leader offering education in this sphere on a very high level. 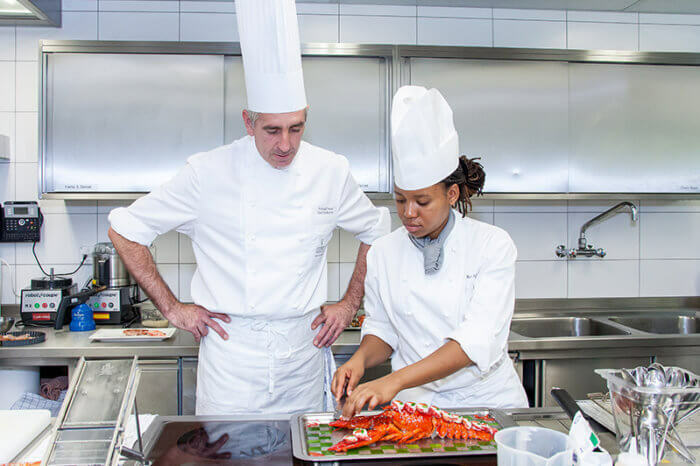 Swiss Education Group introduces you into hotel and restaurant industry as well as culinary arts. Please register for the presentation! 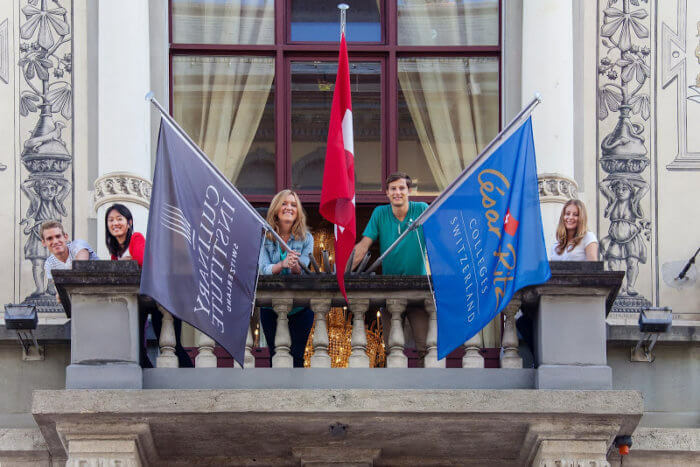 Swiss Education Group(SEG) programs were designed according to the best Swiss traditions of hospitality. All classes are held in English with obligatory study of a second language. Applied approach in education from the very first year allows students to undertake paid internship in Switzerland and other countries. After graduating from SEG schools alumni can claim for high positions in best hotels, restaurants, travel agencies and catering companies. According to SEG statistics about 89% of alumni get high managing positions or open their own business during the 5 years after graduation. «Swiss Education Group» is an alliance of leading institutions in hospitality which includes 5 upmarket schools: César Ritz Colleges Switzerland, Culinary Arts Academy Switzerland, Hotel Institute Montreux, Swiss Hotel Management School, IHTTI School of Hotel Management. Swiss Education Group is famous for its strong and stable industry relationships and has a rich chain of partners all around the world. A paid internship from 4 to 6 months is an obligatory part in every school (an average salary during internship is from CHF 2168/per month). SEG organizes International Recruitment Forum twice a year for all their students which give a unique opportunity to set up business contacts and further employment possibilities. SEG offers Bachelor and Master programs as well as summer programs for teenagers. The International Union of Youth is a company established in 2007 with a main goal to develop educational and sport cooperation, broaden possibilities of international cultural exchange, strengthen friendship and mutual understaing between youth from different countries in the capital of the Czech Republic Prague. The International Union of Youth is a member of „Assossiation of Hotels and Restaurants in the Czech Republic“. 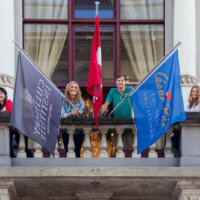 The main direction in the International Union of Youth is study abroad in the Czech Republic as well as other countries. 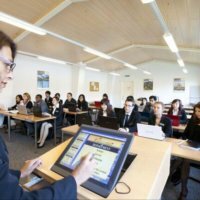 MSM together with Swiss Education Group (Switzerland) and Czech University of Life Sciences (one of the leading universities in the Czech Republic) created a unique program in hospitality with a study in English language.